Freya arrived at SLEWTHS on March 8th 2016. 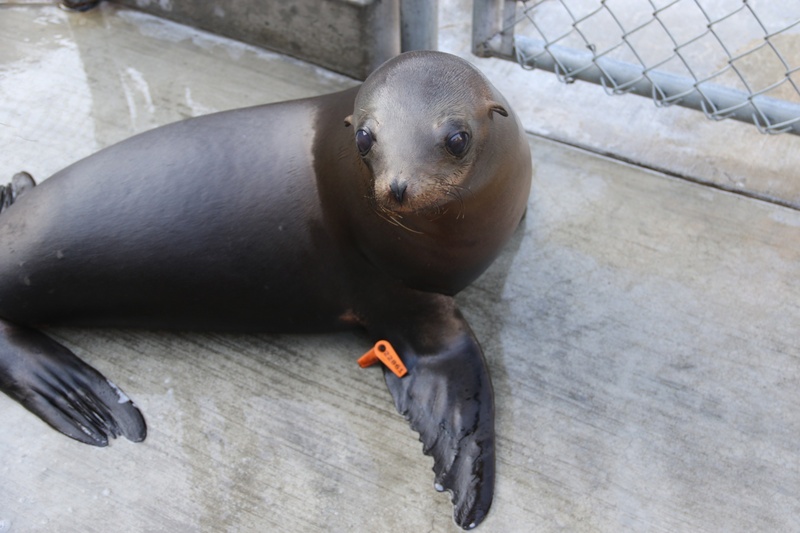 She was adopted from the Pacific Marine Mammal Facility where she was a repeat strander and was deemed non-releasable by the National Marine Fisheries Service. Since joining the SLEWTHS project, she has learned many behaviors: a full medical check, weighing, voluntarily caging, and voluntary vet exams. Freya is very imaginative and fully enjoys playing with all her toys. 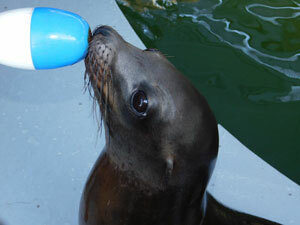 She can be found moving toys from pool to pool and even playing a sea lion version of "air hockey" with the staff. 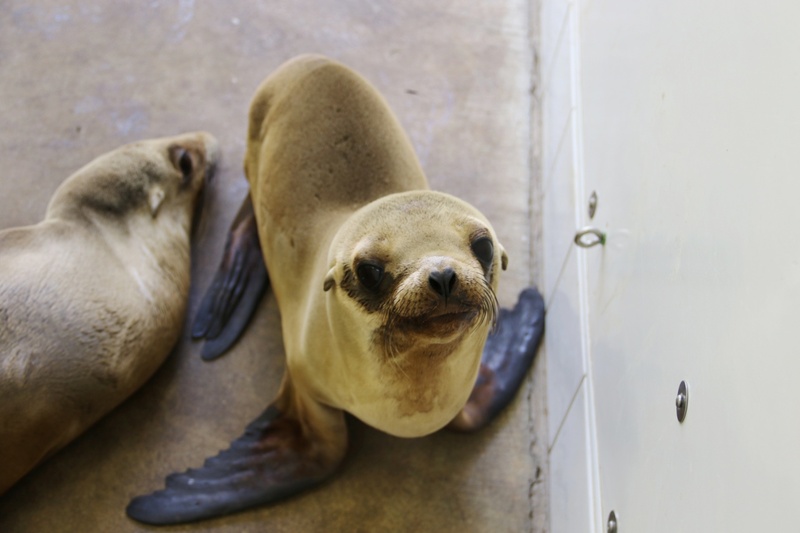 She also loves playing around with her friend Gaia (whom we adopted at the same time), and the other adult sea lions, behaving just as a young sibling would do: pushing her limits and teasing the adults. Freya is determined to learn during a session and wants to learn quickly. This determination is a wonderful feature of Freya‘s and will ultimately help her work toward being an extremely accomplished sea lion.